Just Shy of a Y: how will I ever choose just one? Anyone watch the Bachelorette back when it was on? Anyone care to admit they watched it? It's the only thing I can compare my feelings with right now. I love Texas, obviously. I was born and raised here. Most of my friends and family live here. We love our house and our schools. We are getting closer to finding a church home that fits us perfectly. It seems like everything was going along great. We were/are living the good life here in our home state. You know what I have realized? When I was a career woman and we were a freshly engaged couple I worked in Minneapolis for a few months and Gary and I considered moving there. When we were newly married and Gary was really exploring and starting his career we moved to Michigan for less than a year. We moved back to Texas because we needed to be with our families and our families needed us. Once we tried other places and they didn't work I assumed we'd live in Texas our whole lives. It just seemed like the right fit for us. Five months ago the thoughts of home changed for me. The minute Gary got that first phone call from Ohio with a job offer I knew this was different. I have had 5 long months to think and process this new chapter of our lives. Ohio will be our new home state. I visited this past weekend and I loved it. I know it's hard to decide if you like something after only being there for 2 days, but I did love it. It is going to be such a fun adventure. I am beyond excited to get there and get the kids moved. I know they will love it too. I saw the best quote the other day. 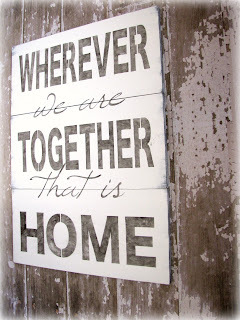 It said, "Wherever we are together, that is home!" My immediate family is my number one priority. 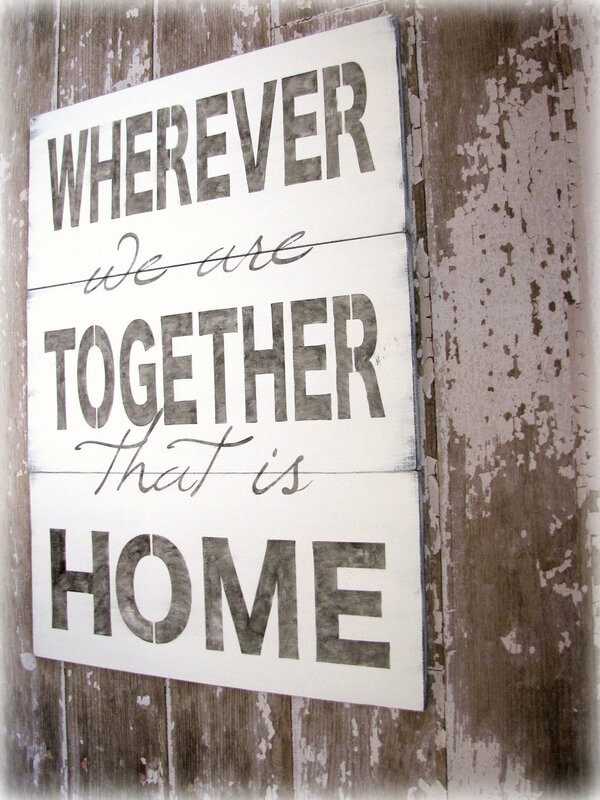 I want the kids to be happy and healthy and I think if we are all together we are "home." Why does this remind me of The Bachelorette? "I love them both and I don't know how I am going to let one go." I feel that way about my Texas. There are so many people I love here. Every morning when I drop Layla off at school I get teary eyed. I love her current school. I love when she gets out of the Jeep in the carpool line the teachers and coaches call her by name. There are tons of kids in her school and I think it's amazing that they know her name. I'm gonna miss that, but her new school will have a total of 150 students. In the WHOLE elementary SCHOOL. We have friends I love so much and I can't imagine leaving them. Tears are streaming down my face just typing this post, but I know we will make more friends. I was only in Ohio for a weekend and I already have friends there. I also know the friends I am crying about here in Texas will always be my friends. Now you know why I feel like I can't let one go, but I will end up letting one go. In the same way Emily picked Jef with one F... we are picking Ohio and still loving Texas. I wonder if Emily still has thoughts about Arie? I have lived in the same state I was born in and can't even fathom moving away. My Hubby on the other hand lived in countless states his whole life, and loves the thrill of adventure. But, one thing is for certain. You can take the person out of Texas, but you can't take Texas out of the person. :) Hub's was born there, and he loves going back any time he can. Not only have I never lived anywhere but Louisiana, I've only lived in Baton Rouge & within 20 miles of BR. I'm glad you're excited about it. I can't wait to see all of your new adventures!